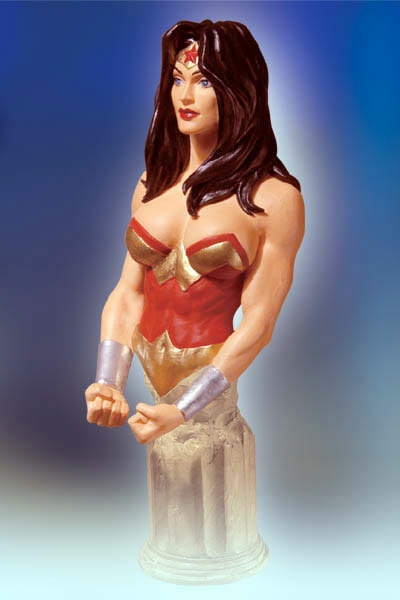 The Women of the DC Universe: Series 1: Wonder Woman Bust is available for purchase on Amazon. Princess Diana, known to the world as Wonder Woman, has always been DC’s most famous superheroine. This impressive DC Direct representation of the amazing amazon, based on an Adam Hughes design and sculpted by John G. Mathews, is another beautiful addition to the popular Women of the DC Universe line of busts. Women of the DC Universe: Series 1: Wonder Woman Bust is available for purchase on Amazon. Also see the Women of the DC Universe page to see more of the other great sculptures in this series!